Easy to install and reliable vehicle tracker. 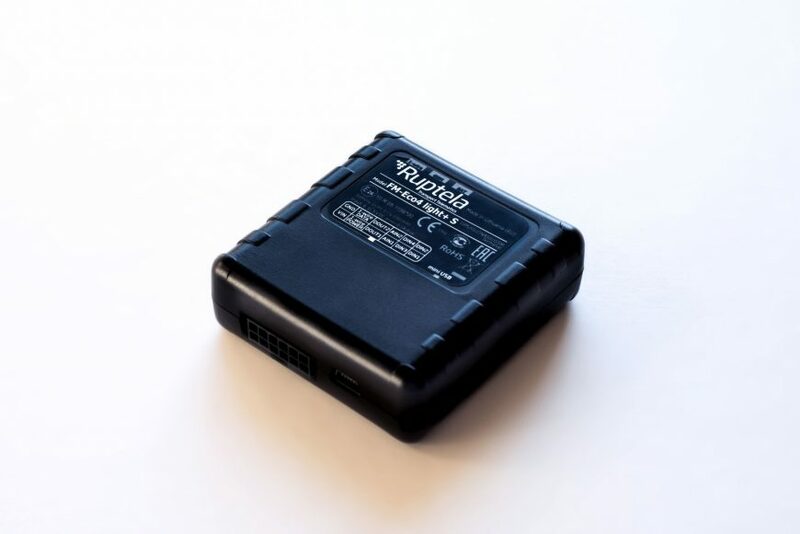 The FM-Eco4 light S is one of the most popular GPS trackers designed and manufactured by Ruptela. 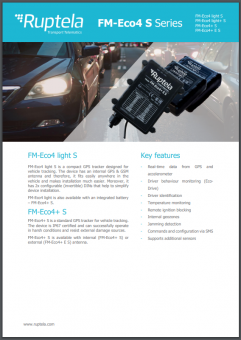 FM-Eco4 light S is a GPS tracker with all essential features for vehicle tracking and fleet management. Installation of FM-Eco4 light S is especially easy when done with Power Harness. Built according to European Union requirements and high professional standards, FM-Eco4 light S comes with a quality rate of 99.9%. Install FM-Eco4 light S faster and easier with Power Harness. 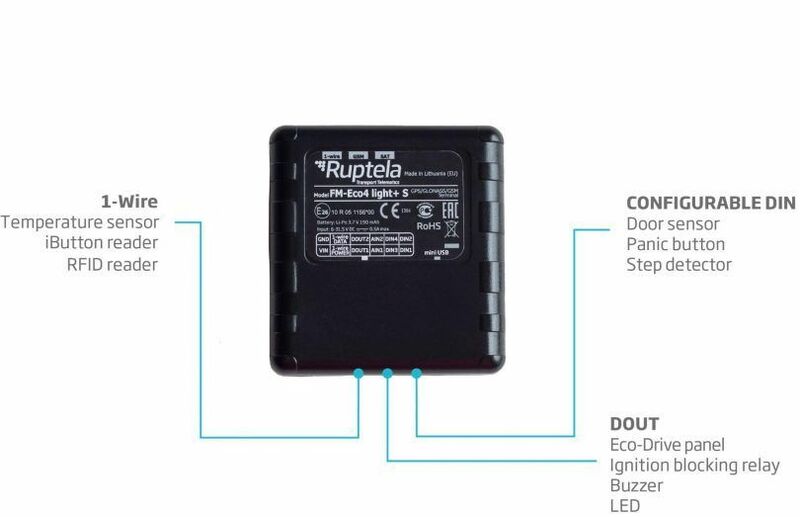 Power harness is used to install GPS trackers and connects via fuse box for increased safety. FM-Eco4 light S has 2x configurable (invertible) digital inputs (DINs)! This allows configuring DINs between negative and positive triggering. Negative triggering will allow easier installation of buttons, door sensors, and other accessories. It will also reduce the cost and time of installation as they will eliminate the need for the relay, which is recommended in such setup. Get in touch with us to learn more practical applications of 2x configurable DINs! FM-Eco4 light S – without internal battery. FM-Eco4 light+ S – with internal battery LiPo 3.7 V 190 mAh.